DUBUQUE, Iowa – Loras College, Iowa’s first college, announced today that President Jim Collins was named to the 2016 Irish Education 100, an annual list of the leading Irish-American figures in education across the United States. Collins also earned the designation, published by the Irish Voice newspaper, in 2009 and 2010. The Irish Education 100 honorees are some of the most distinguished and accomplished leaders in America with Irish heritage. It was first compiled by the Irish Voice newspaper in an effort to quantify the Irish commitment to excellence in education in the United States. This year’s listing featuring the 2016 Irish Education 100 honorees appeared in a special edition issue of the Irish Voice on Dec. 7. 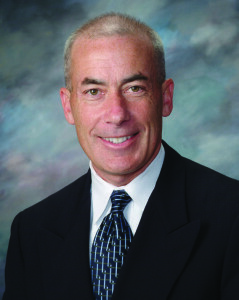 After graduating from Loras, Collins returned to campus as an admissions representative, and in his 33 years of service to the college has held positions as director of special projects, director of alumni and college relations, interim director of development, assistant to the president, and vice-president for institutional advancement. In 1999, he was appointed the college’s senior vice president. Collins was then elected to be the 26th president of Loras in 2004. On the national level, Collins just completed a seven-year term on the Board of Directors for the Association of Catholic Colleges and Universities including time as its chair and member of the executive committee. He was elected to and began service on the Seton Hall University Board of Regents in 2011. There he serves as a member of the Executive Committee and a member of its Board of Trustees. In Iowa, Collins recently completed service as chair for the Iowa Association of Independent Colleges and Universities. Early in his presidency, he was appointed by former Gov. Tom Vilsack as a member of the Institute for Tomorrow’s Workforce Board of Directors. Collins obtained a bachelor’s degree in finance from Loras in 1984 and a master’s degree in higher education from the University of Iowa in 2004.